Please download the LT SPICE Model from the table at the bottom of the page . Click zip file to save on Desktop/specific folder. Design engineers and product development highly depend on the schematic design and simulation tools before finalizing the suitable high frequency coils for the product design. CWS provides LT Spice simulation models for the designer in mind to make it easy for selecting the right component for the circuit design. LT Spice Schematic and simulation platform is provided by Analog devices (www.Analog.com) for easy of circuit modelling. This platform has become industry standard for many other simulation software and tools. This platform saves time, cost and efforts in making trials on real circuits. Many of the design engineers, educational institutions uses LT Spice for circuit designing and simulating the circuits by importing the library components from various manufacturers. Various components manufacturer like Inductors, transformer, coils, capacitors, resistors and other active and passives devices manufacturers have made Library of components which users can download and link with in their LT Spice circuit design and simulation. We suggest designers to download the latest version from the above link. Analog Devices Inc keep updating the software for better design and simulation tools. How to use the LT Spice is provided in the above link from Analog Devices. With design engineers, design professionals and education institution in mind CWS Coils has made LT Spice model library of the various inductors. Designers can download the library in their computer system and link with library to the Lt Spice software for the Schematic design modeling and simulation. Enclosed here is the DEMO circuit using LT Spice showing how the CWS Coil inductor LT Spice model is used. Sample Schematics including a CWS component model also enclosed. Example instruction for the linking the LT Spice model library of Helical Power Inductor. LTspice Library for CWS Coils Power Inductors. Please keep in mind that real components can vary in the range given in the data sheets. The values are based on the data provided in the datasheet. 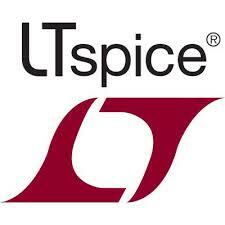 1) Please make sure that LTspice software is not running. and copy the (CWS_Power Inductor) folder. 4) On the next start of LTspiceXVII, open a New Schematic, Click on the Component library (or press on F2), you will find the [CWS_Power Inductor] folder appears in the LT Spice Component library. 5) Double Click on [ CWS_Power Inductor] folder and choose your Part number. - The LT Spice models given in this file/folder are the property of Coil Winding Specialist Inc. WWW.COILWS.COM. - LT SPICE MODEL is an effective tool for testing product performance by simulation; however, it does not simulate product performance in all test environments and is not intended to be a replacement for testing of the actual device by means of a test board or otherwise. - Please refer the data sheet for all electrical parameters. - Simulation results are for reference purposes only; CUSTOMER shall perform thorough testing using the actual device. - The LT Spice models will be updated as needed, as new products added - always download the latest version from http://www.coilws.com website. - The LT Spice software also will be updated without notice - refer the software developer website for latest versions. - ALL PRODUCT, PRODUCT SPECIFICATIONS AND DATA ARE SUBJECT TO CHANGE WITHOUT NOTICE TO IMPROVE RELIABILITY, FUNCTION OR DESIGN OR OTHERWISE.